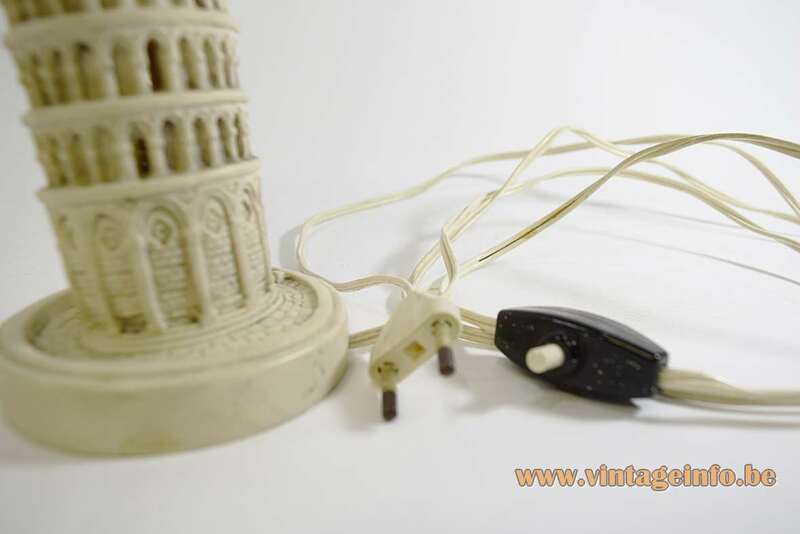 Materials: Table lamp made of some type of polystone or resin, Bakelite socket. 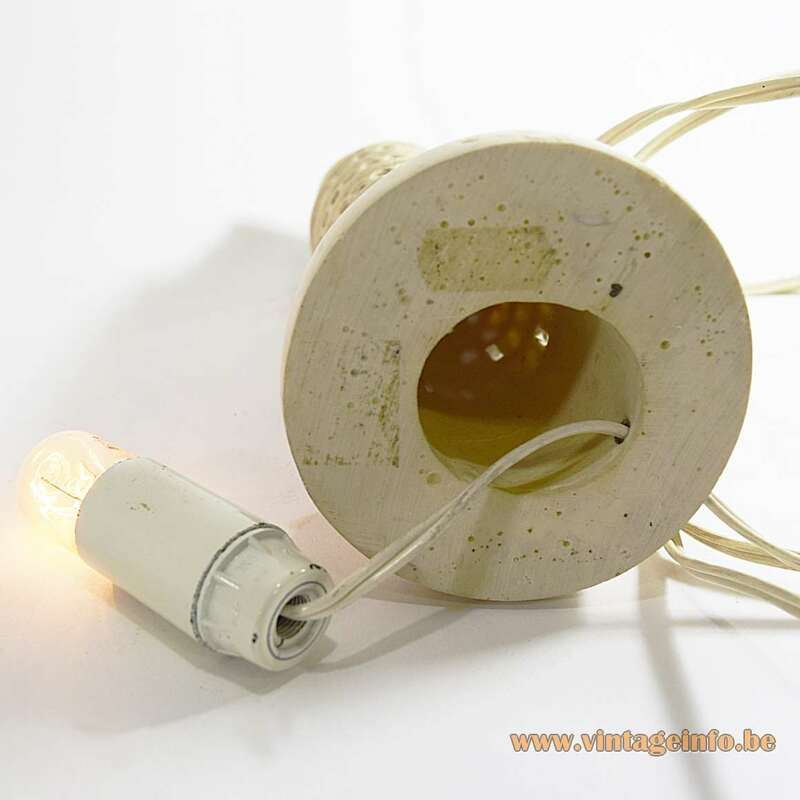 Any type of light bulb with an E14 socket can be used, preferably a small light bulb. 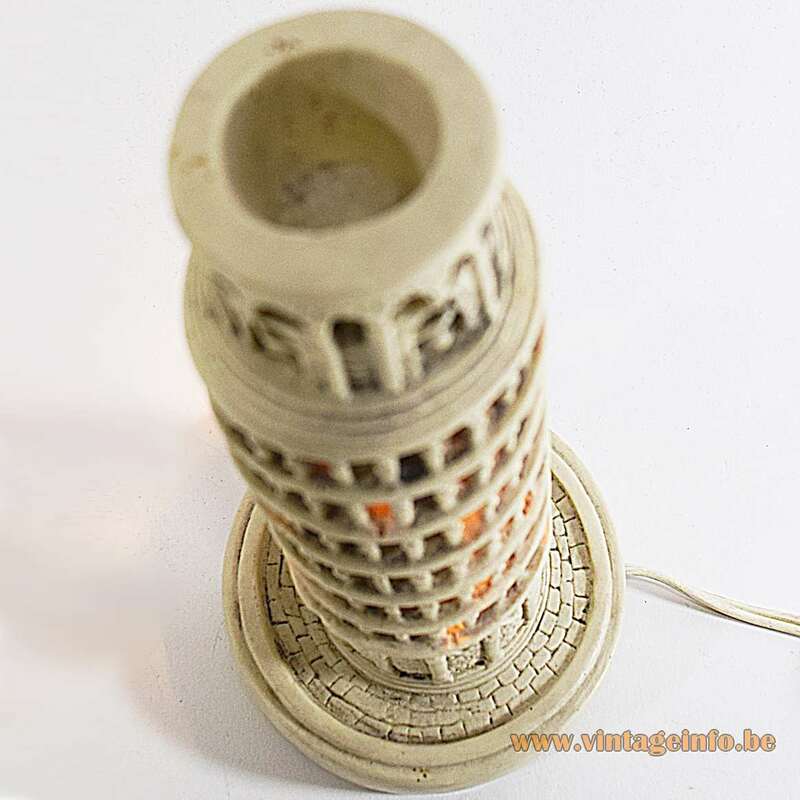 Other versions: Made in many sizes, with or without light bulb inside. 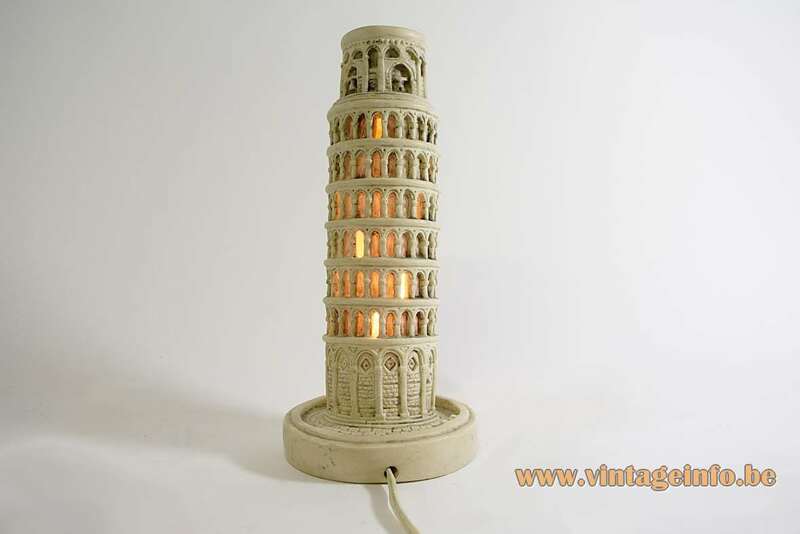 These lamps were probably made since the time that electric light exists. 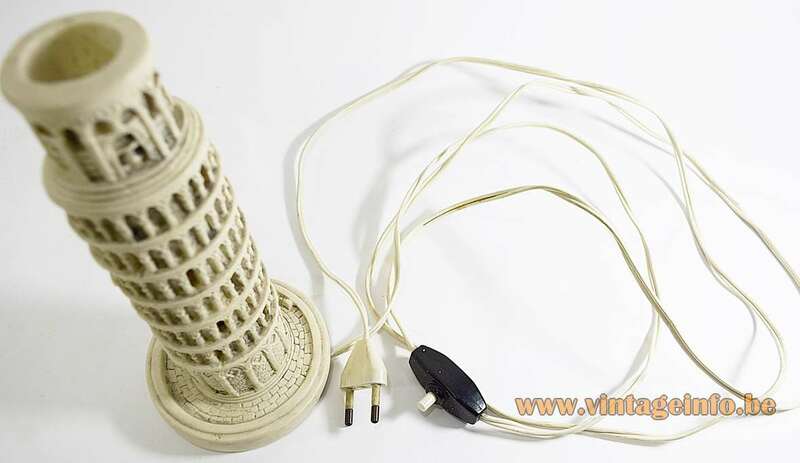 They are still for sale in souvenir shops in the Pisa area in the Tuscan region and cities were you find many tourists such as in nearby Florence in Italy. 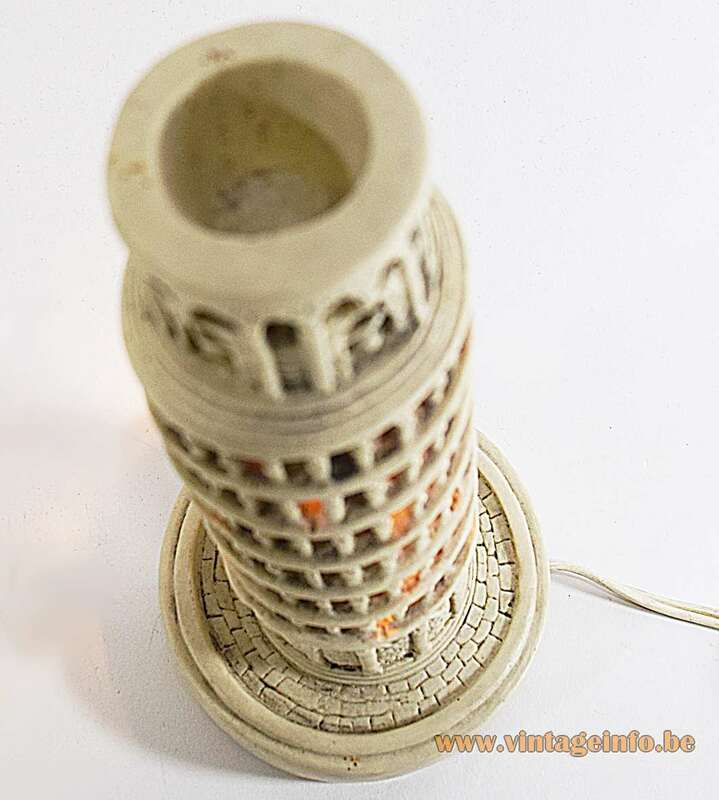 “Torre pendente di Pisa” is the Italian name for the Leaning Tower of Pisa. The building is the bell tower of the cathedral of the city of Pisa. The tower is famous worldwide for its unintended tilt. Construction of the tower occurred in three stages over 199 years. The Leaning Tower of Niles is a half-size replica of the Leaning Tower of Pisa, located in Niles, Illinois, USA. 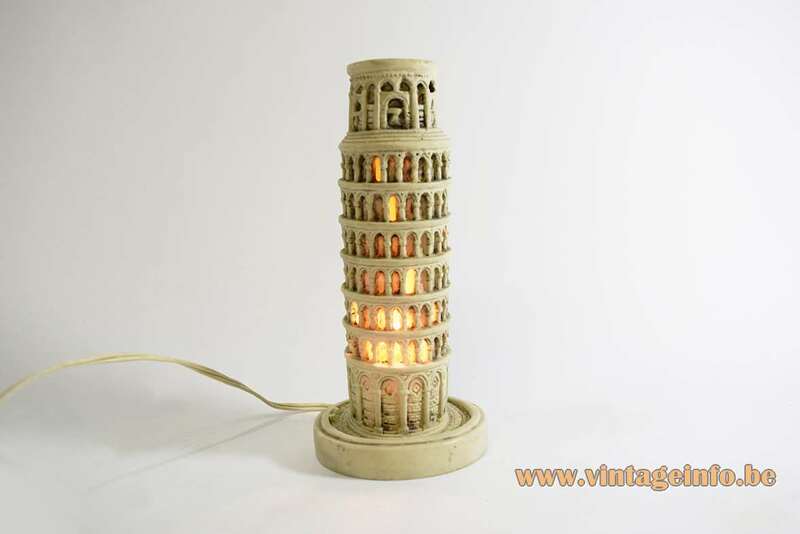 These table lamps were made in different sizes as you can see and they were/are produced by several factories. 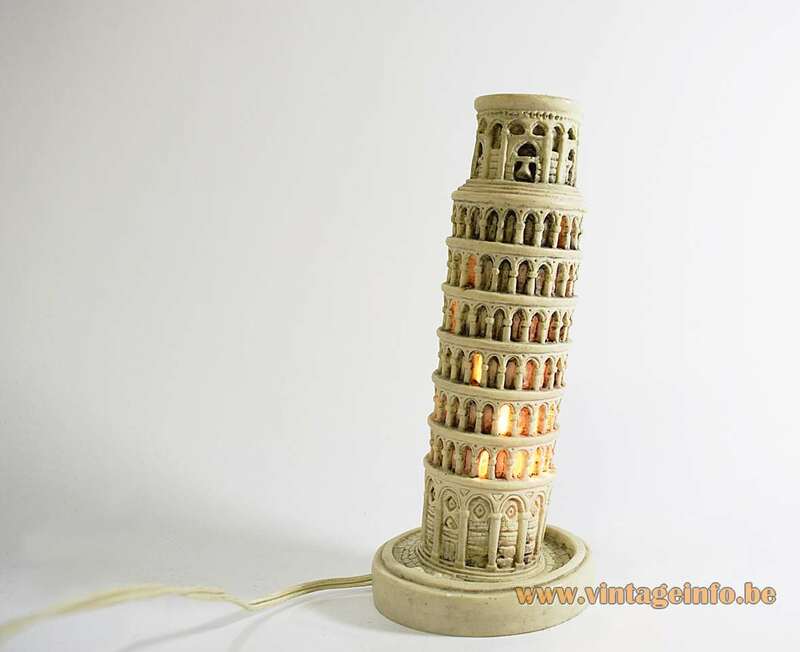 There are many different lamps for sale, today probably all made in China, so beware when you buy one. If it got old electric parts like these two lamps, they are more ore less 40 to 50 years old and in all probability made in Italy. 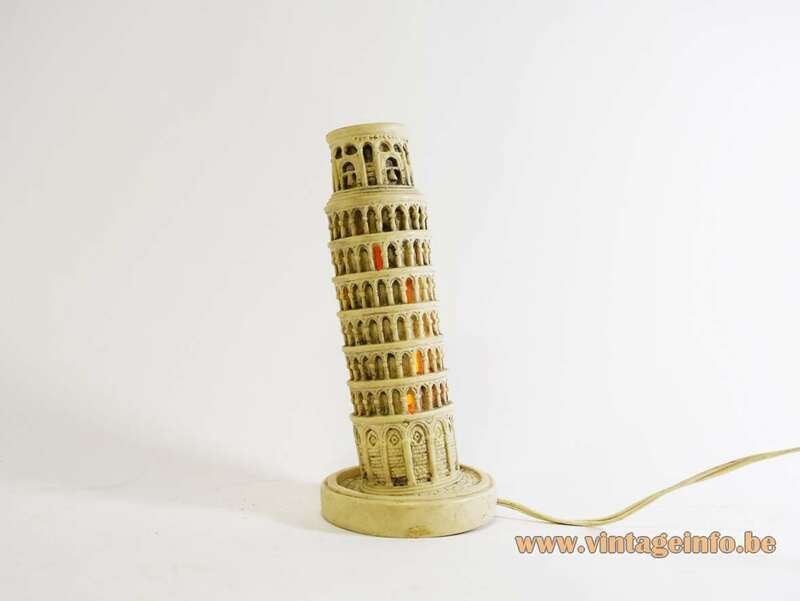 The electric parts of these 2 lamps are made by the Italian VLM Components company. The big version uses the model 450 switch designed by Achille Castiglioni in 1968. The small version has a VLM Components switch made before that time.